Drag Strip or Wine Cellar? Burnt rubber? At Infineon Raceway, it’s a normal aroma. But if you smell it when you rack your wine, you have a problem. 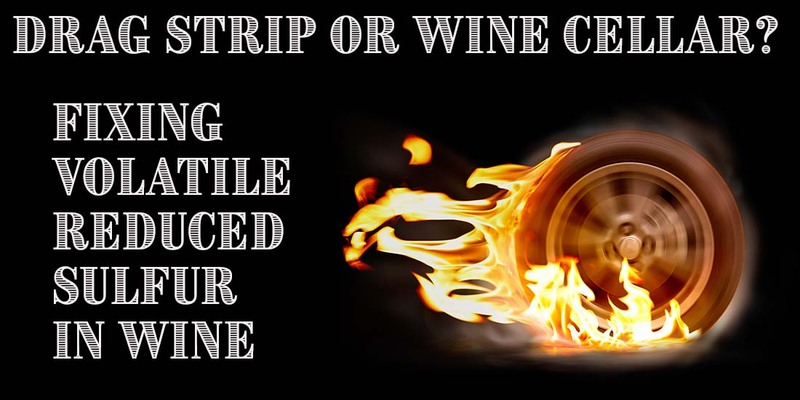 “Burnt rubber” is one of many unpleasant descriptors applied to the volatile reduced sulfur (VRS) compounds than can occur during the fermentation and aging of wine. Much easier to prevent than correct, these compounds interact with each other, and the wine, in very complex ways. Simply stated, if you detect this kind of aroma, fix it quick! The simplest, and generally first, VRS to appear is Hydrogen Sulfide, HS. It is commonly described as smelling like rotten eggs (peuw!). Since humans can detect the smell when the concentration in wine is only one or two parts per billion, it doesn’t take much to make the wine very unpleasant. While “over sulfuring” in the vineyard (by the vineyard manager) is the most frequently cited cause (by the winemaker), those of you who grow your own grapes and then make the wine have no one else to blame! (Try to go at least 35 days between the last sulfur application and harvest). But let’s face it: a much more frequent cause is lack of nutrients—primary amino nitrogen or certain vitamins—during primary fermentation. You can address prevention of that problem by analyzing your juice nutrient level (see SAP and SNAP, pg. X) and then using a complex, vitamin-containing nutrient like Fermaid K.
But let’s suppose the odor shows up anyway (which it may). The most conservative treatment is to aerate the wine during racking—splash it into the receiving vessel (but be sure your free SO2 level is up where it should be prior to the splash racking—otherwise you may oxidize your wine, turning it brown and Madeira-like). A more effective solution is to treat with copper. When exposed to copper, the sulfide combines with the copper to make copper sulfide, which is not soluble in wine. While some books will tell you to just run the wine over a sheet of copper, my experience has not found this technique highly effective. Instead, the direct addition of a small amount of 1% copper sulfate solution is usually quite effective. Add it at a rate of 3/4 of a milliliter (mL) for every gallon of wine. 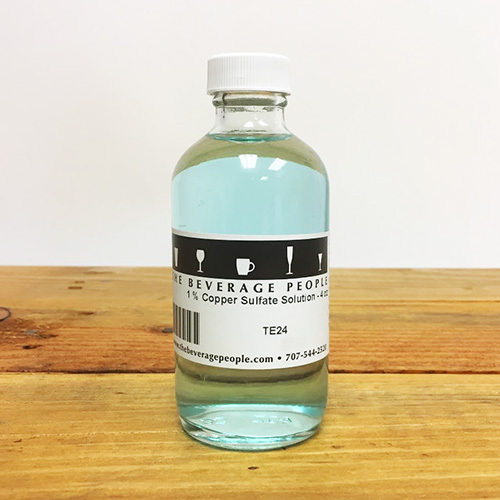 This will give you a maximum level of 0.5 ppm (mg/L), which is the level allowed in commercial wine. 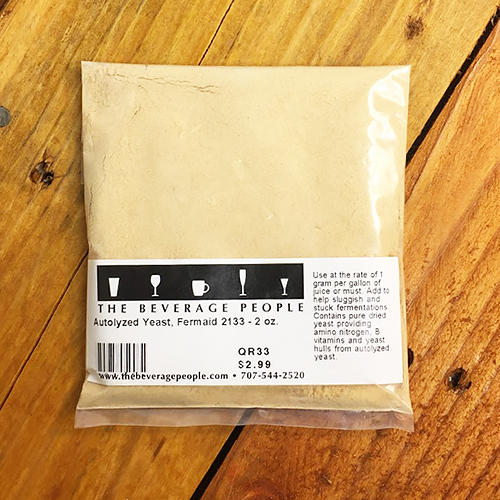 If you must treat the wine again to completely clear the sulfide aroma, you may want to remove residual copper by adding yeast hulls (at a rate of 5 grams per gallon), stirring frequently, and racking again in a few weeks. For the copper treatment alone, rack after a couple of days to leave the black copper sulfide behind (at part-per-million levels you may never see it, but it’s there!). If you have not promptly removed HS, your wine may go on to develop more complex VRS compounds. Next in line are the mercaptans: methyl mercaptan smells like burnt rubber or rotten cabbage and ethyl mercaptan smells like burnt matches or dirty ashtrays. These are not volatile enough to remove by aeration, but copper (just as for HS) still works. To check for possible effectiveness, clean a copper penny in a mild acid solution (a little citric or tartaric in some water). Place your now-bright penny in a wine glass, add wine, and swirl. Let it stand for a minute or two, and the bad smell should go away if you have a copper treatable problem. If your problem goes on even longer without treatment, you may get into the disulfides. 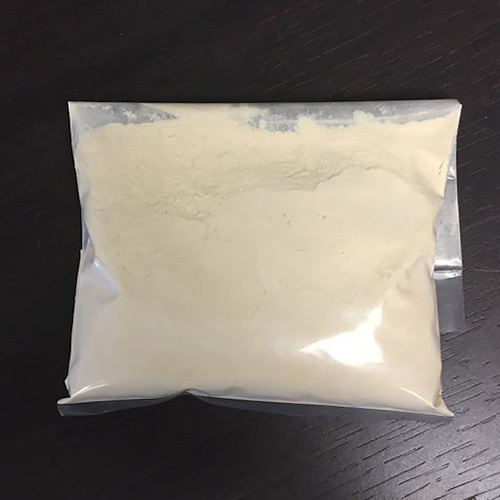 Dimethyl sulfide resembles cooked asparagus or canned corn, diethyl sulfide is reminiscent of new tires, dimethyl disulfide brings the delights of onion aroma to your wine, and diethyl disulfide brings garlic aroma. (A related compound, methyl ethyl sulfide, is used to give the familiar warning aroma to natural gas.) Now you are really in trouble. Old Italian country winemaking treated disulfides by extracting the wine with a portion of olive oil, then skimming off and discarding the oil. Since the olive oil that remains in the wine may go rancid, drug-store mineral oil would be a more modern choice. But don’t expect a miracle: if you are trying to clean up your wine with oil it has gone very bad, indeed. So let’s go back to the top: 35 days after last sulfur before harvest. Adequate nutrients. Aerate (with SO2 present) if necessary. Copper. Repeat.